Have you ever noticed that Halloween has turned into a month long celebration? When I was young, we had a Halloween party at school, then Trick or Treated that evening. Easy-peasy. Now, the entire month of October is filled with parties, pumpkin patch visits, corn mazes, fall festivals, haunted houses, All Saints Day shindigs, and more. I love having fun with our family, but by mid-October, I’ve reached my candy limit. I want my kids to have fun, and bring things to events and gatherings, without tanking up on sugary snacks. Around here, we specialize in candy free Halloween treats, but we don’t sacrifice any fun. Added bonus? 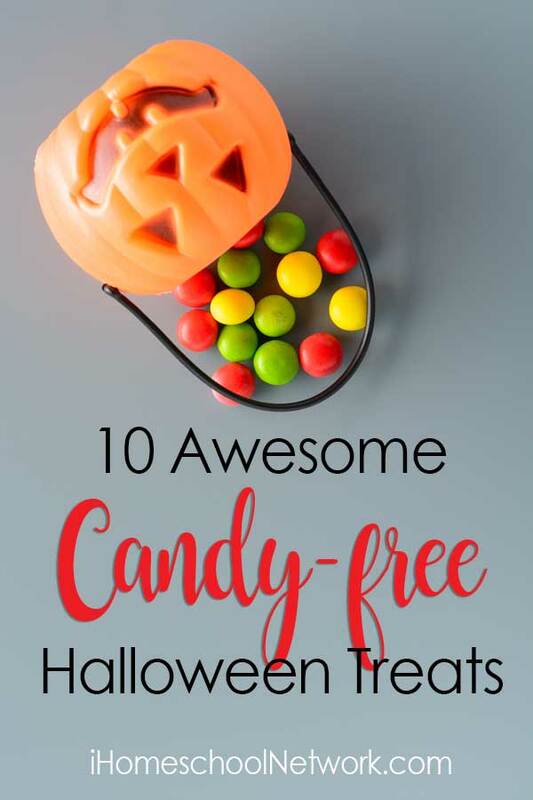 If you have a child with food allergies, these candy alternatives are perfect. 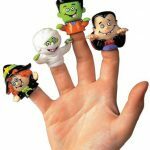 Perfect for sparking creativity in your little ones, these vinyl finger puppets are sure to bring out the giggles. My kids LOVE ‘talking’ to each other with their puppets, and putting on a show. 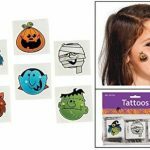 We’ve used Halloween stamps to decorate Halloween cards for friends, or to create an invitation for a family friendly Halloween movie night. Seriously, what’s a Halloween party without vampire teeth? They even come in fun colors. If vampire teeth aren’t your idea of a fun candy alternative for Halloween, try bat or spider rings. 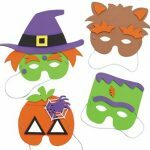 If you’re hosting a Halloween get together at your house, you’ll want to stock up on these adorable mask kits! These are Halloween themed, but I also spied animals and superheroes. 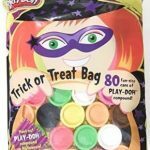 Party favor sized bubbles are perfect for handing out to Trick or Treaters who visit your home. Bonus fun for bubbles? You can use them for fun rewards, too. 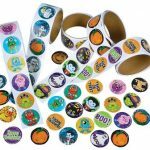 Halloween themed stickers are amazing for adding to goody bags, or filling up your treat bowl. Add them to a sticker book, or stick them on your shirt for Halloween fun. I don’t know what sort of magic is contained in these temporary tattoos, but my children ADORE them. I have to make sure I have plenty on hand to prevent sibling squabbles. Mom tip: these come off easily with baby oil. 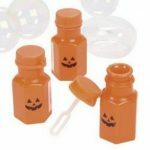 A Halloween treat that builds fine motor skills? These party favor sized Playdough tubs are the answer. 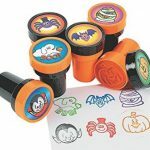 Novelty erasers are all the rage in my house, so I’m going to be adding some of these Halloween erasers to our treat bowl this fall. 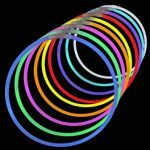 Treat your Halloween visitors to these glow necklaces when they visit your door. These are excellent for wearing during trick or treating, or just around the house for fun. Need more Halloween fun? We’ve got a great list of family friendly Halloween shows, ideas for DIY Halloween costumes, and Halloween crafts—everything you need for an amazing Halloween season. Do you have a favorite Halloween treat that doesn’t have loads of sugar? Don’t forget to share it in the comments!